I am a regular reader of Indian Beauty Zone Blog and here is my first post here ,so m a little nervous as well as excited, please bear with me. 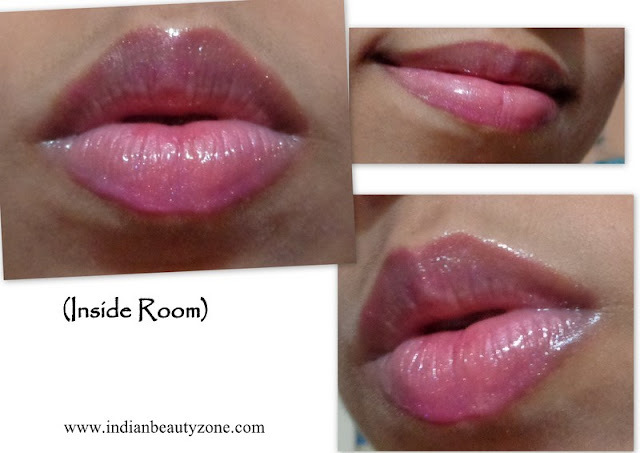 Well , this post belongs to a MAC lip gloss from Archies girls collection named as Mall Madness. This is my first MAC product..I have read so many good reviews of Mac products and luckily won this at a beauty blog some days back.. Read the below lines to know whether I love it or not. Beautiful Blonde-Next-Door Betty inspires a limited-edition colour collection with a soft, innocent sexiness. Lipsticks in peaches and pinks beam bright under layers of Lipglass in girly shades. Nail Lacquerin Comic Cute and Pep Pep Pep to win Archie's affection. All packaged in exclusive designs. The Lipgloss Mall Madness is part of the Veronica Collection of Archie’s Girls. Mac describes it as a midtone pink violet. But this violet is some different and it is more similar to onion –pink color, because it has strong purple undertone and on lips it looks like pretty plum pink with soft golden and fuschia shimmer. moisturizes my dry lips very well. The Archie's Girls Collection products are the most attractive packaging I have ever seen. The applicator is soft and good quality.. It is well pigmented. It is my first Mac product…To be very honest I always wanted to try Mac lipstick (I am a lipstick lover ) after reading lots of reviews on Mac products at every beauty blogs, but its high price always pulled back and as mentioned above that I won it at a beauty blog,so I got it as a free gift you can say. Between I love the shade of this lip gloss,very much tempting. I have very dry lips, always need a lip balm. Each time I apply lip balm underneath my lipstick lip gloss,because of two reasons. First one is, I am afraid to apply lipsticks without balm due to my dry lips(weather it makes my lips more dry) and the second one is, when you apply a lip balm it is easy to remove lipstick gloss(no need of extra rub). Well as it is thick in texture I have apply lip balm underneath it due to the second reason and one of the best part of the lip gloss is, it hydrates and moisturizes my lips for a long time(its staying power is more). After a sort meal the pinkish look of the gloss vanishes and the golden tints stays behind which looks equally good on my lips…I like it.. It is a shade which will suit all Indian skin tones. Now see how it looks on my lips..
• Nice color, will suit all skin tones. Have you used any lip gloss from MAC Archies Girls..??? Name: Snigdha Prusti I am a home-maker as well as a new mom of 2 month old baby prince. I have normal skin type . My complexion is fair. I have black, curly(at the ends only) hair. Lipstick/lip gloss and a kajal are very essential part of mine in makeup. In dressing up I like both Indian and western costumes.. I love making new friends, cooking and eating as well as travelling. My hubby and my father are my best ideal. I don’t like selfish and lier people. thanx ...and yes very pretty shade..
ohh..hope u also like urs one..do share ur experience dear.. Very nice detailed review...I have tried MAC yet but this Archies collection is so tempting!! thanks dear.. ur comment made my day.. Pretty shade n looks grgs on u..
Oh My!! so lovely lip swatches. I have a tendency to like thick gloss. Basically it add that plump look and sort of attraction I fall for. I have tried MAC gloss before and am still using other shades from the same brand. Love your review darling.... amazing shades and result on lips!!! 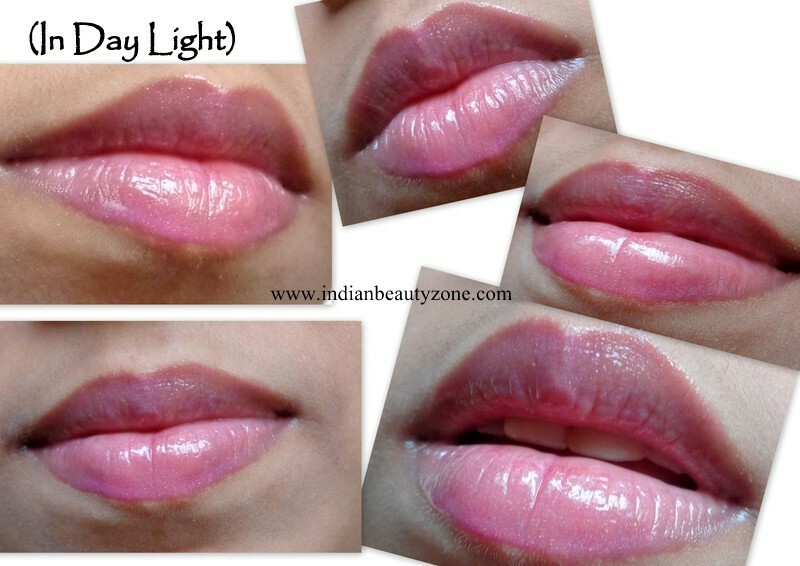 Beautiful shade Snigdha :) It looks lovely on ur lips! Wow! It looks so good on you! Love it!